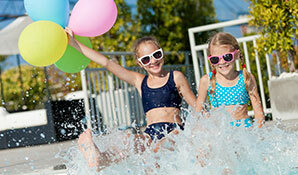 Are you planning an Orlando trip on a tight budget? November is one of the best months to visit Florida – flights are cheaper than at any other time of the year. We have advance fares for the major airlines including BA, Norwegian, United and Virgin. Contact us on 01934 319 851 for our best price on November 2020 Florida flights. Direct flights are excellent value throughout the month. Fly from Gatwick or Manchester. The flight takes around 9 hours – an early morning departure will arrive at Orlando around midday. Don’t want to drive to London or Manchester? No problem. We book connecting flights from smaller UK airports for a supplement. The schedules are convenient and your hold luggage is checked through to Orlando. Contact us for prices from Belfast, Jersey, Glasgow, Edinburgh, Aberdeen, Inverness, Isle of Man, Newquay and Exeter. Orlando International airport is handy for holidaymakers looking to experience Disney World and Universal Studios. If you’re planning a west-coast holiday, Tampa and Fort Myers are more convenient. A Miami arrival is best if you’re planning on visiting Key West or the Everglades. Let us know your plans on our online enquiry form. Or call us on 01934 319 851 for cheap November 2020 Florida flights. Customer satisfaction is important, so we book with the best airlines. Virgin, United, Norwegian and BA are popular choices. Fares are released 11 months before departure – but don’t wait until then. Book in advance now – we’ll give you a great price on your November 2020 Florida flights. Don’t worry about trying to beat the system – flights are cheap throughout the month. For a small saving, depart on a Tuesday or Wednesday (weekend fares are slightly more expensive). Book in advance for great value. Once flights are released, we’ll check prices daily and book your seats at the best price. How much do you expect to pay for November 2020 Orlando flights? Prices can be over £500 per person. Book a mid-week flight in advance and you could achieve fares of £395 per adult and £320 per child. It’s not too early to start planning. Book your November 2020 Orlando flights now with a deposit of £100 per person. Need a price for car hire? We deal with the major suppliers and have excellent rates for November 2020 Florida fly drives. Call us on 01934 319 851 for details. Looking for the full holiday package? We book all the major resorts and popular hotels. We also sell attraction tickets for all the parks. Take a look at our example November 2020 Florida holiday or let us know your requirements for a tailored quote. All our November 2020 Florida flights and holidays are ATOL and ABTA protected. Fly direct to Orlando, jump on Disney’s Magical Express and be whisked off to Disney's All-Star Movies Resort for two weeks of family fun. Enjoy the theme park rides, meet your favourite Disney characters, play in the Fantasia-themed pool, watch movies under the stars. This Florida Disney holiday is available for £950 per person, with ATOL and ABTA protection. Book in advance now with a deposit of £100 each.